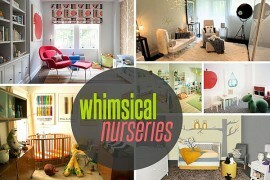 Shaping a beautiful nursery is one of the most exciting design projects in the house for more reasons than one. Welcoming a newborn into your household is a time filled with excitement and plenty of work. Creating a gorgeous, modern nursery for your little one is easily the best gift you can give to your baby boy or girl, and if you are a design aficionado, then it is also time to showcase your taste and talent! Modern nursery rooms come in a wide variety of themes and styles, and there are ample decor choices that complement each look. 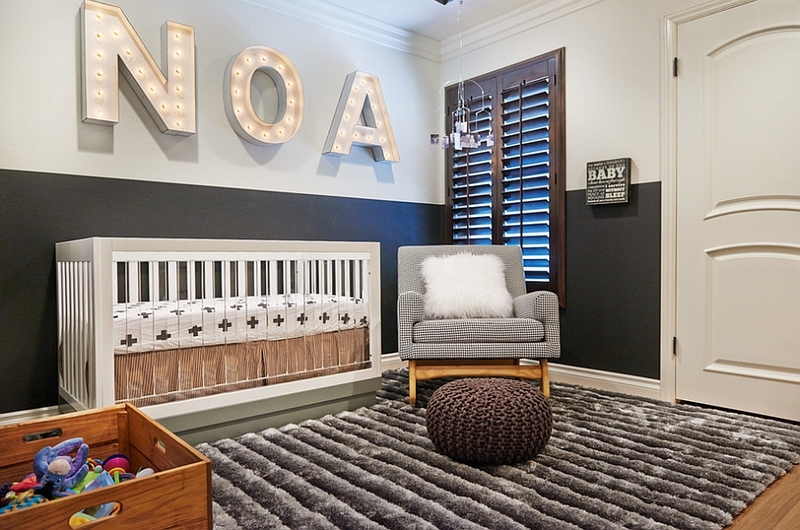 From the edgy to the timeless, here is a look at some of today’s trendy nursery themes. How about a super fun room for your little Mike Meyers? 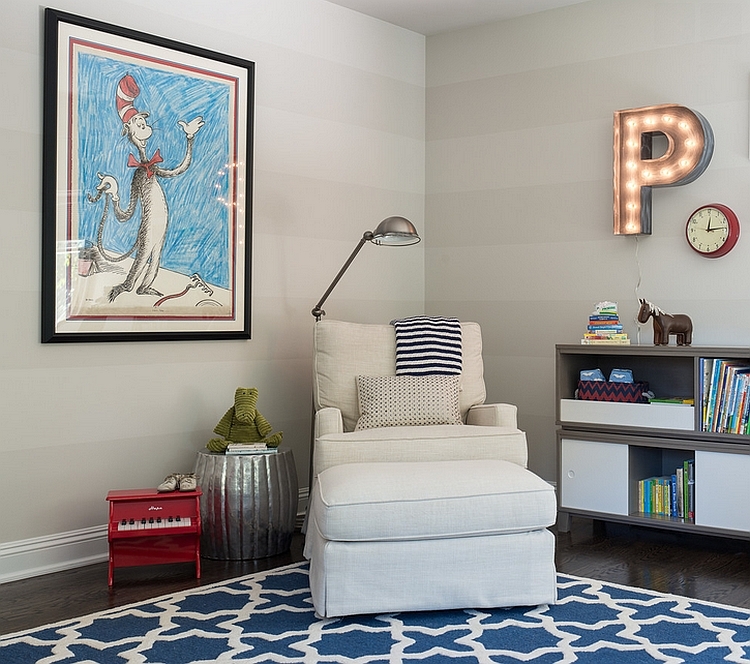 Even if you are not a fan of the movie version, your little one would sure love a room with a ‘Cat in the Hat’ theme. 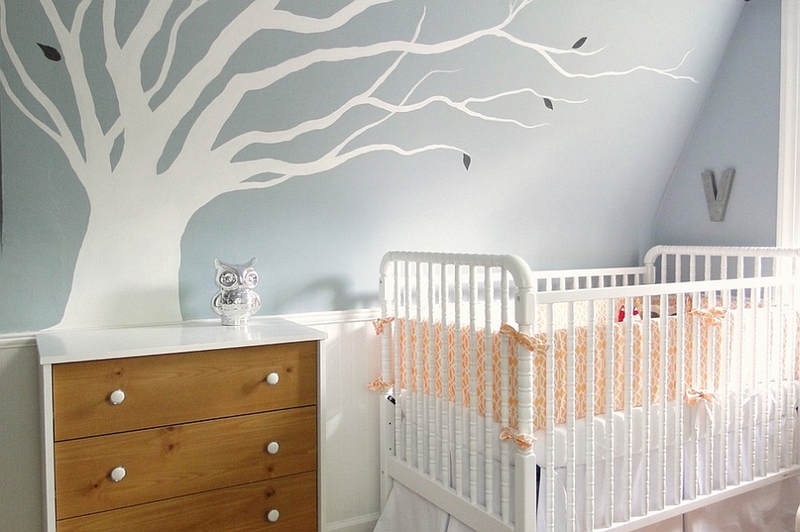 This elegant nursery inspired by ‘Dr. Seuss’ uses color in a restrained fashion, and it is only the accessories that give the space its theme. In fact, with a simple twist in the decor and by taking out the large painting, you can easily usher in the nautical look here. 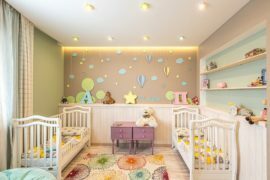 One of the important things to remember while designing a nursery is to ensure that it serves your little one for a considerable length of time. It is a given that for the first 4 months of their lives, babies will have little appreciation for color, pattern or detail in a grand sense. An illuminated name on the wall might seem like an expensive proposition, but they will soon grow up to appreciate and love it. It is a feature of the room that they can carry well into their teens! If there is one theme that is universally popular across different cultures and age groups, it’s the one inspired by the sea. 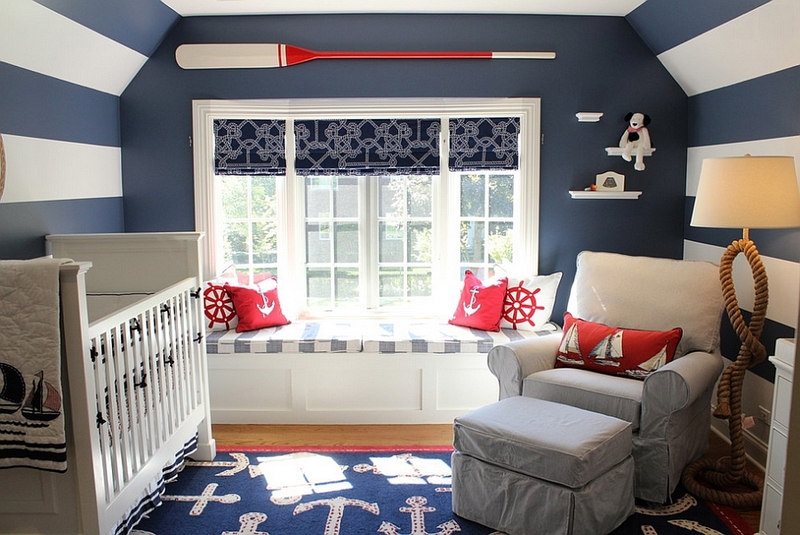 From the relaxing beach style to the more colorful nautical look, nurseries embracing this style and color palette are both pleasing and loads of fun. They have a perpetual sense of cheerfulness, and additions like the ship’s wheel, starfish, ropes and oars enliven the space for the little one. You can never really start too early when it comes to appreciating good design. Maybe what your budding Eames or Saarinen needs is a tinge of midcentury inspiration in the room! 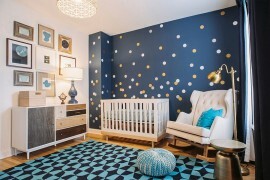 This exquisite nursery combines bold colors, fun patterns and the timeless midcentury modern allure with breezy brilliance. The color of nature outside the glass window also adds to the joyful ambiance of the room. 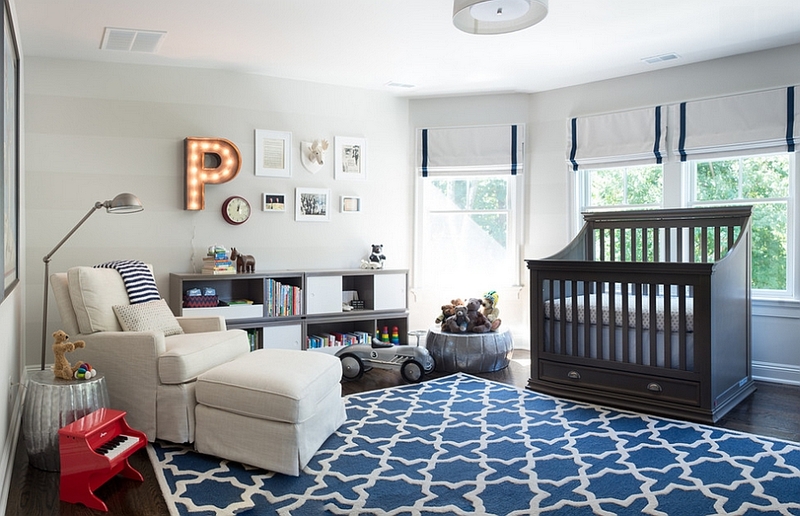 We love the simple, sophisticated and versatile appeal of this nursery. The bed is a great addition to the room, and the crib indeed is different from anything else that you will see. Contemporary in every sense, the textured walls of the room let it stand out with ease. 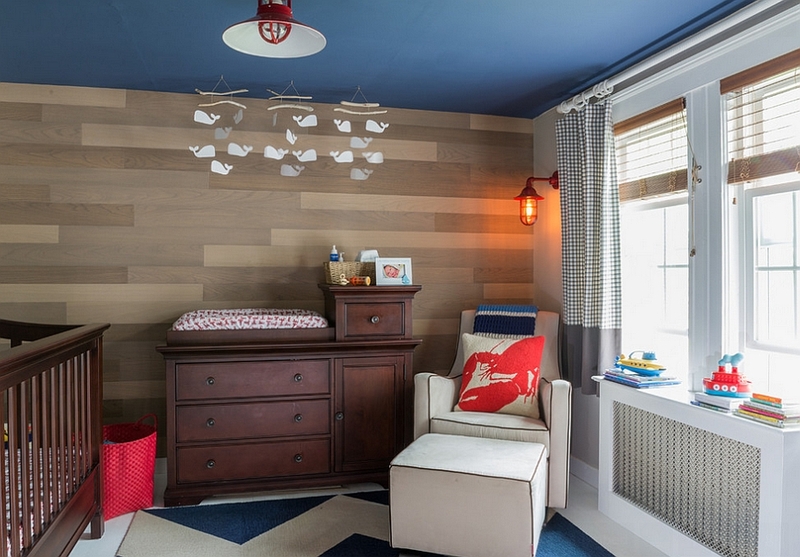 And as your kid grows up, the neutral backdrop can be given new life by simply swapping out the furnishings. 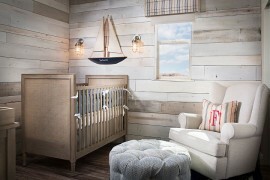 Much like the nautical-themed spaces, safari-inspired nurseries are also pretty popular, and modern designers are combining their wild spirit with posh elegance to shape some trendy spaces. 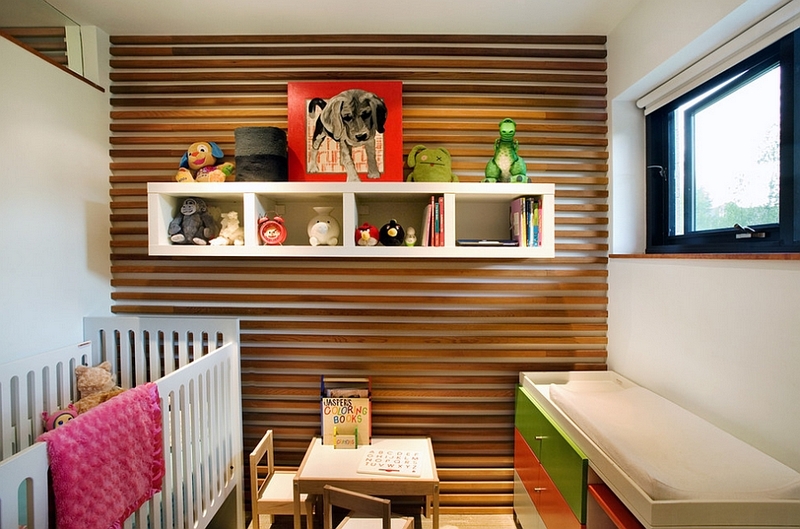 The ‘jungle book theme’ of this nursery is both cool and creative, and the wallpaper adds ample color without going over the top. 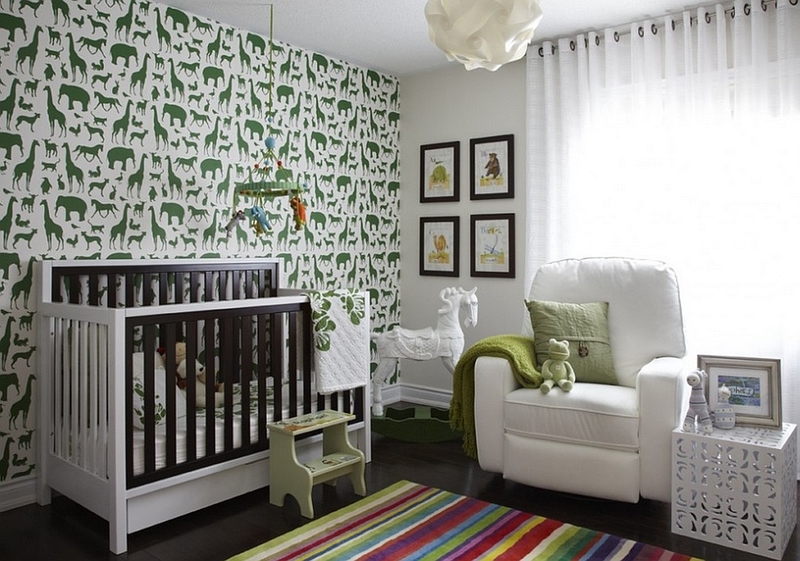 Green and white is also a general neutral combination that is great in any nursery. Planning a nursery for your baby girl? Pink is on top of the list when it comes to nursery designs for little girls, and this chic room offers a unique and creative take on the idea. The chevron rug and the pattern-filled walls steal the show, even as the pink ceiling and the dark floor complete the glamorous look. A dazzling room for the little starlet! Wall stencils with trees, branches and colorful backdrops bring together mellow and bright hues with ease. 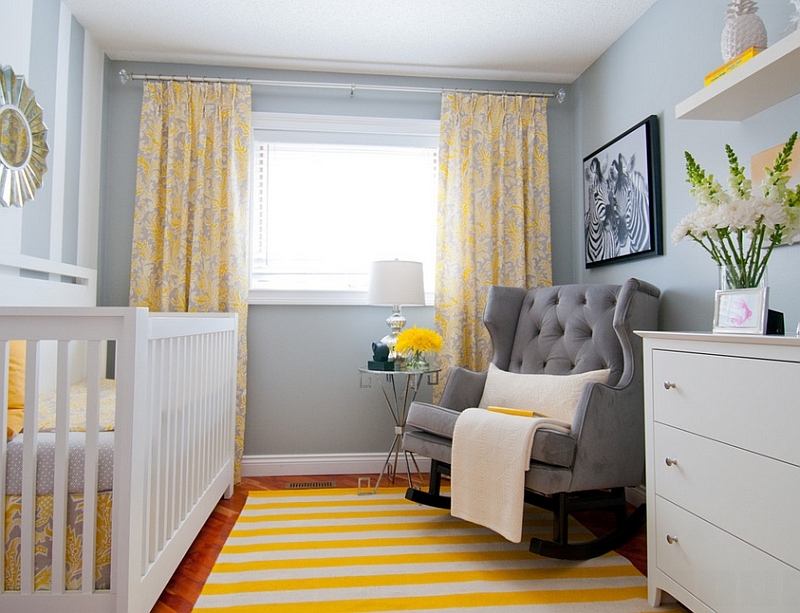 Nature-centric nursery designs also give you a wide range of accent colors to choose from. By keeping the backdrop as calm and relaxing as possible, these nurseries allow the decor to shine through. Small spaces and tiny rooms can also be transformed into amazing nurseries with some smart planning and the use of right colors. Stick to using three colors at most in such rooms to reduce visual fragmentation, and stick to one neutral background. A crib with a plush chair next to it, and a changing table are often all you need. Plenty of natural light and cool accessories are the icing on the cake!